While shopping in downtown Easton today, I stopped into an antique store to pick up soup* (yeah, I know, that sounds odd — see below for an explanation). This is the same antique store that sold me the Friends Album earlier this year. I decided to peruse the shop again to see if I could find any more old photos — I wasn’t disappointed. 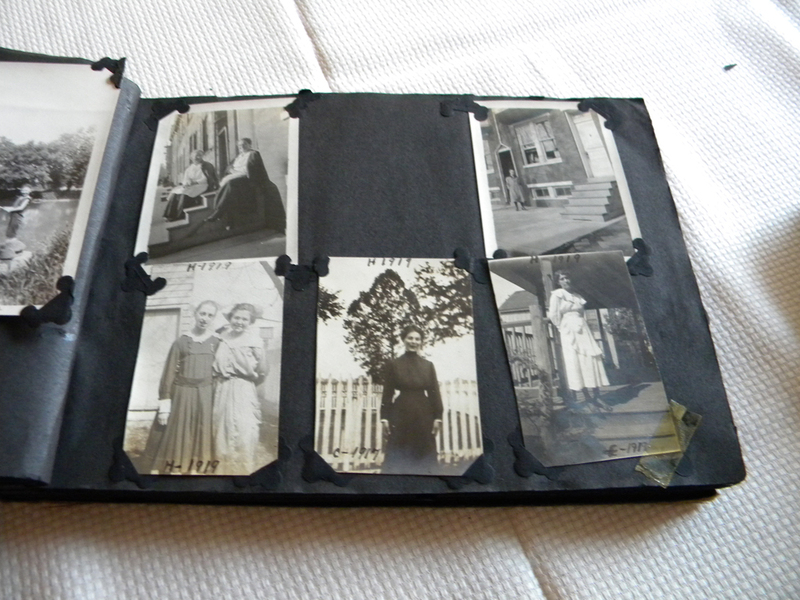 On the bottom shelf of a glassed-in bookcase were two black photo albums opened to display candid shots of a family in one and scenes of downtown D.C. in another. 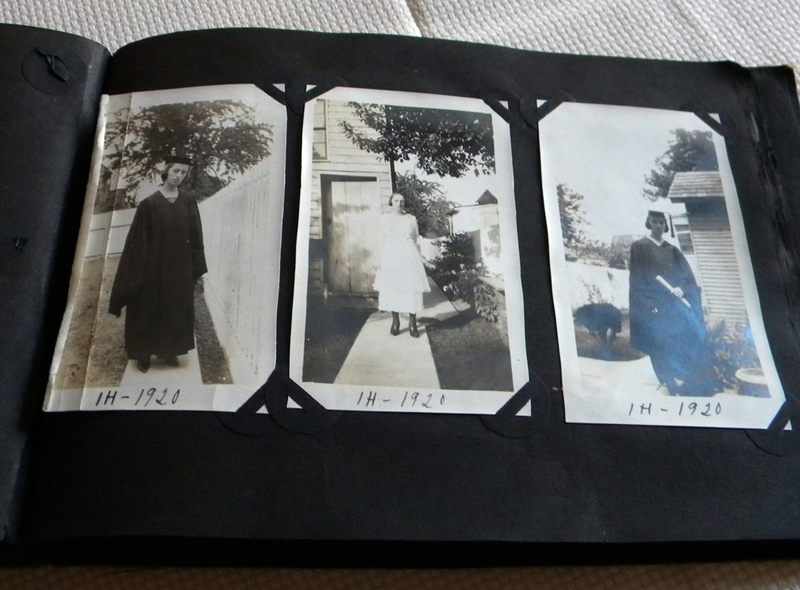 All of the photos appeared to be from the early 1900s. One of the shop’s proprietors noticed me eying the albums and asked if I’d like to see them. Well, of course I did! We both paged through them and she showed me a particularly funny series of photos of three ladies in a hammock. Let’s just say that one of the photos is captioned “A Hard Fall.” I can’t wait to write a post about those photos! Needless to say, I bought both albums. 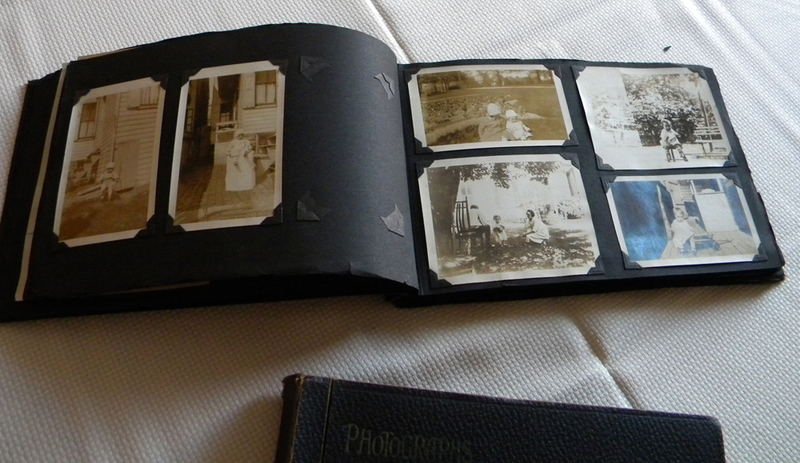 Many of the photos are in bad shape and/or are suffering damage by how the are stored in the album. 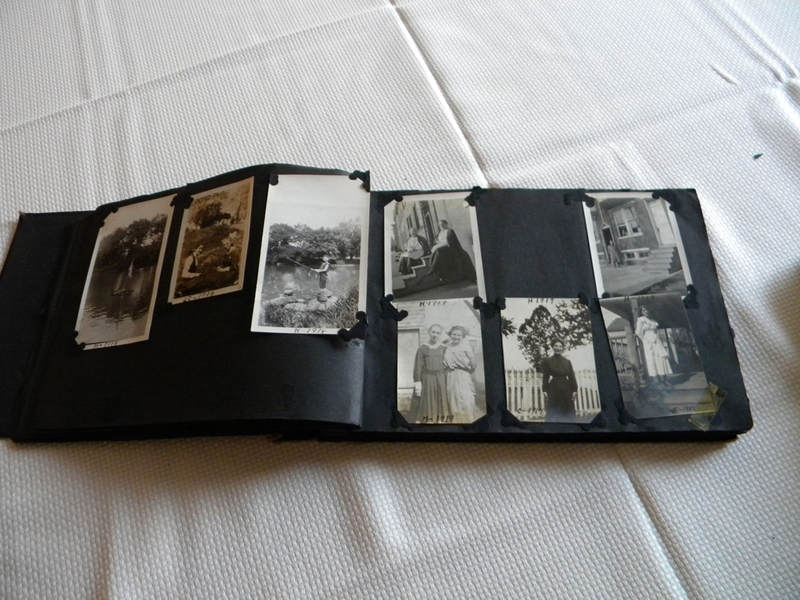 I think this project may be less about researching the folks in the photos (though I will try) and more about rescuing the photos and getting them into better circumstances to prevent further damage. 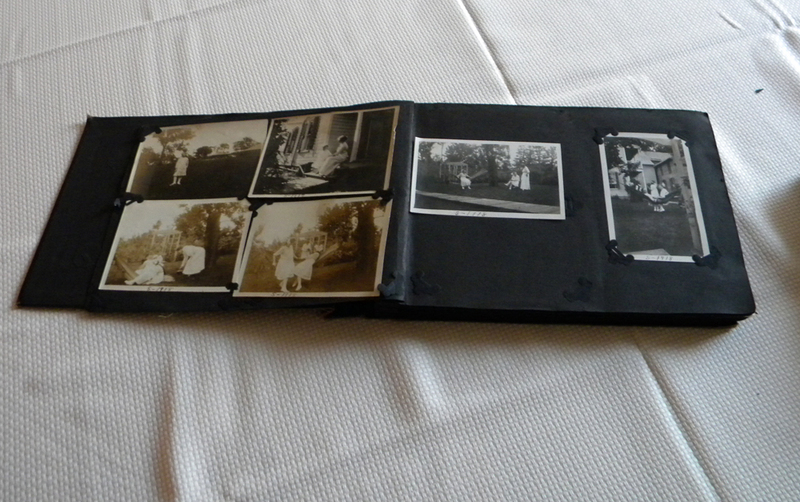 Notice how the photo on the left is creased from being too close to the binding? 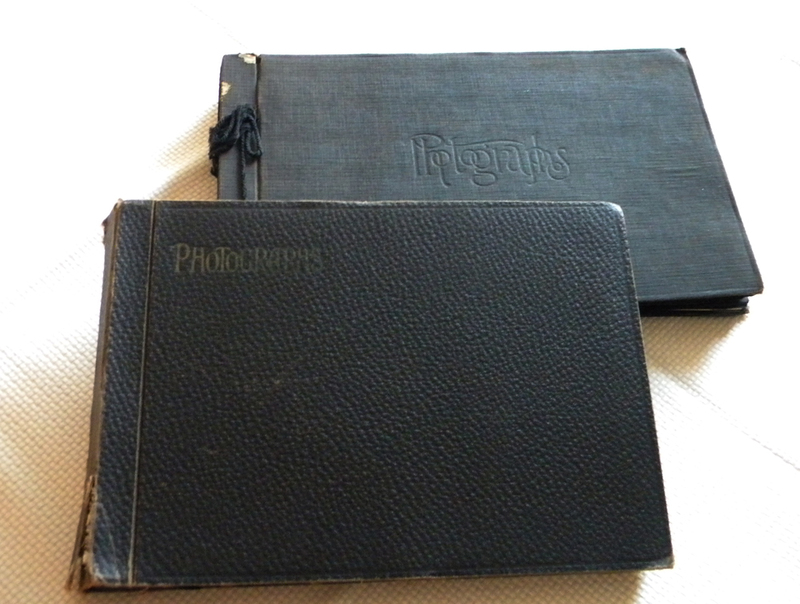 I have to say that I won’t be too disappointed if I don’t end up reuniting these albums with their original owners’ descendants as I’ve kind of already fallen in love with many of the images and would love to hang onto them. But you know me. The thrill is in the hunt. 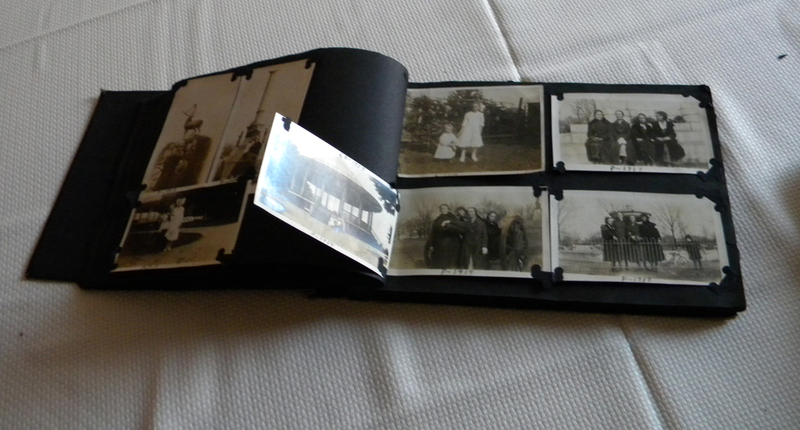 There is an intriguing system that someone used to label the photos (although he/she wrote directly on the photos, grrrr…) — almost all are at least dated and I did spy one with a gentleman’s name on the back. *Shore Boys Cream of Crab Soup is legendary around here, but the restaurant that used to serve and sell it by the pint closed. Now this antique store sells it frozen. It’s my two-year blogiversary! Has it really been that long? This has been such a fun two years, getting to know all of the other genealogy bloggers out there, posting and learning about my family, and helping others (hopefully) with tips and projects like the Friends Album. I’m currently looking for more projects like the Friends Album about which to blog. If there is anything you’d like to see more of here at Bayside Blog, speak up in the comments below! I had the most fun as a guest on Geneabloggers Radio last night. I was invited to talk about the Friends Album project. You can listen to the episode online using the link below. I recommend listening to the entire show. My portion starts at about 64:40. Thanks to Thomas MacEntee for giving me the opportunity! I’ve had several communications with a Young descendant who also has done genealogy research on the family. 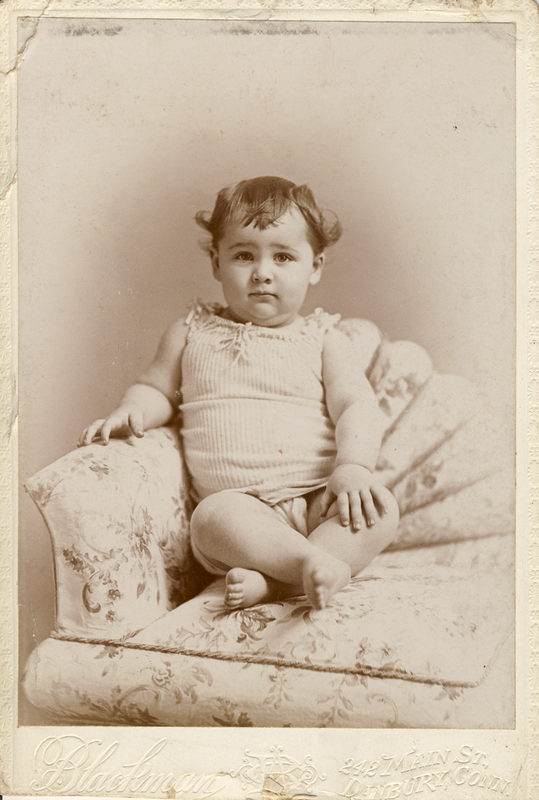 He has helped to identify several of the unnamed subjects in the Friends Album by supplying a photo of many Young ancestors in which the family members are id’ed. 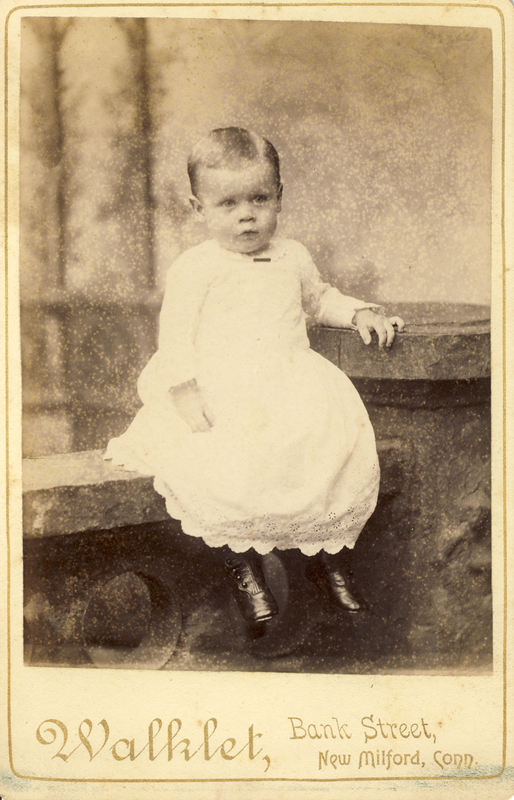 He also provided me with the maiden name of Ellis Burton Wilson‘s mother, Susan. Guess what? She was a Young! That means he too was related to all the other known subjects so far. I’m still going to try and reunite the photo of Ellis with one of his grandsons, but barring that, I will send it to be put back in the Friends Album. It’s really remarkable that everyone in the album may have belonged to the same family. New theories are cropping up among the Young descendants who have contacted me. One thinks that members of a branch of the family in New Jersey may have sold the album after an elderly relative passed away. Another theory is that still another branch of the family settled here in Maryland. 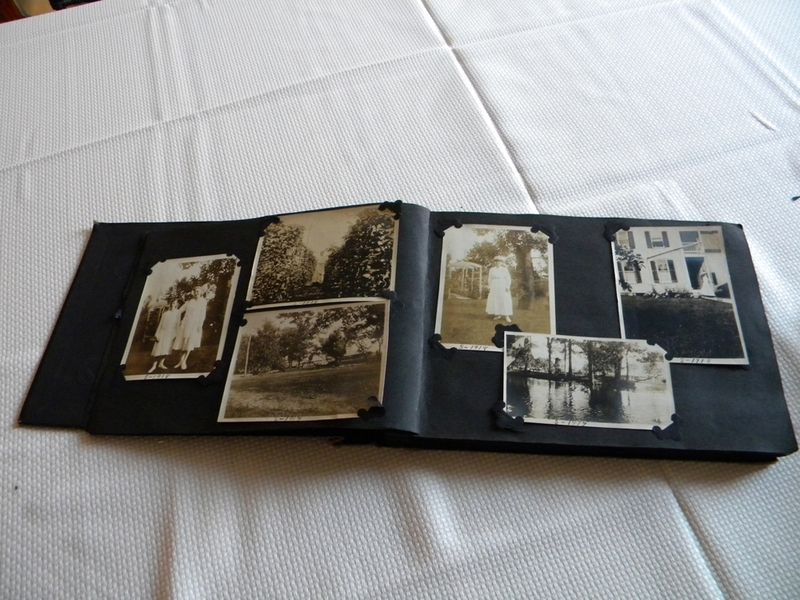 Indeed, a Young descendant who lives in St. Michael’s did contact me, but the album did not belong to her family. The plot thickens.